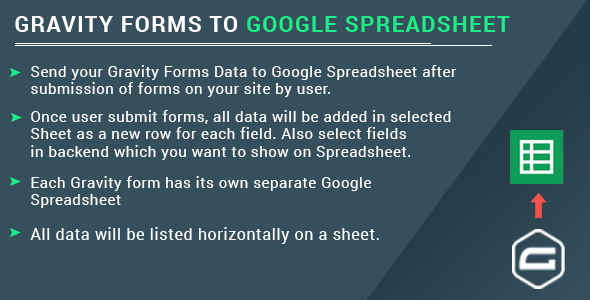 Send your Gravity Forms Data to Google Spreadsheet after submission of forms on your site by user. Once user submit forms, all data will be added in selected Sheet as a new row for each field. Also select fields in backend which you want to show on Spreadsheet. All data will be listed horizontally on a sheet.